You’re an entrepreneur and you have big plans for your company. You know it’s important to protect your company’s brand with a registered trademark on its name or logo, but you don’t know where to begin. This workshop is for you. This is no marketing seminar to entice you to buy future services. This is a hands-on, productive workshop designed to teach you the trademark application process, start to finish. We limit attendance so you get individualized attention, specific to your needs. 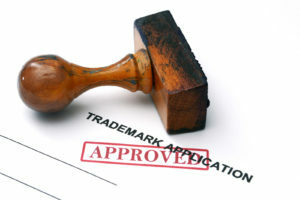 Walk away with enough information, workshop materials, and confidence that you could file additional trademark applications on your own (protect product names, tag lines, and more). Bring your laptop so you can follow along and enter the data for your own company name or logo. And bring your credit card so you can pay the Trademark Office filing fee at the end of the application process. Before you know it, your company’s name or logo could be protected all over the US by the registered trademark you applied for during this workshop! Remember, sign up now! Attendance is limited to the first 10 entrepreneurs who sign up. We want this workshop to be intimate so you get individualized attention, specific to your needs.